When a gifted painter continually challenges themselves with the narrowest of parameters, the result is worthy of that long extended gaze. Painting only antique silverware in daylight hours with no reference to stills ever, Harriet manages to give a masterclass in still life expression. Sometimes the works are tightly observed and finely detailed other times more loosely completed giving a sense of movement, of a room darkening, a day nearing it’s end. Admirers often describe a feeling of being placed in history far further back than the period of the subjects painted. 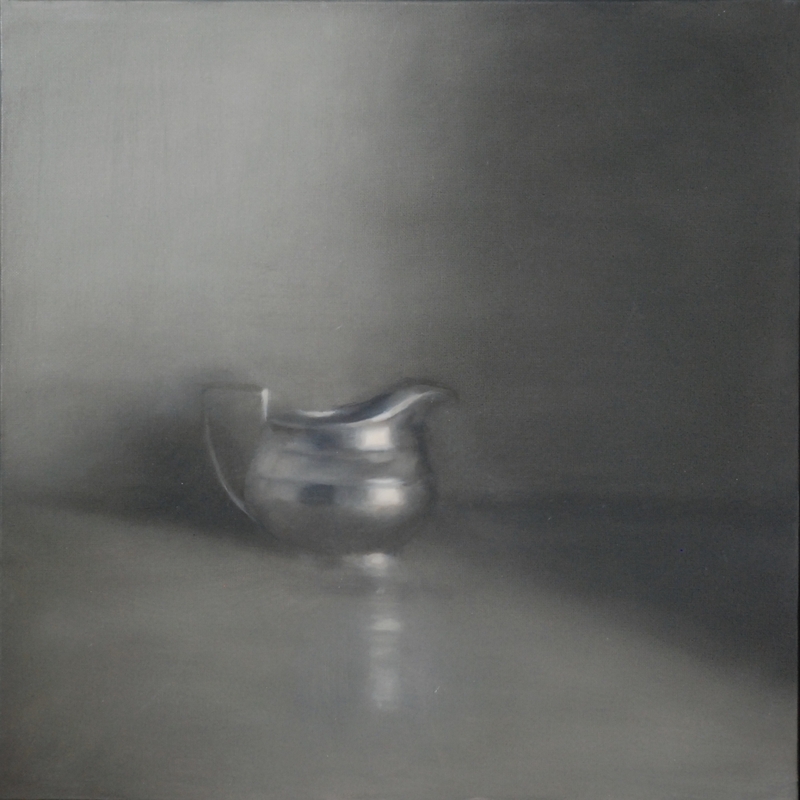 Our belief is that the quality of Harriet’s painting refers the viewer consciously or , as more often, unconsciously to the still life works of masters past hence creating the connection to a time before now.